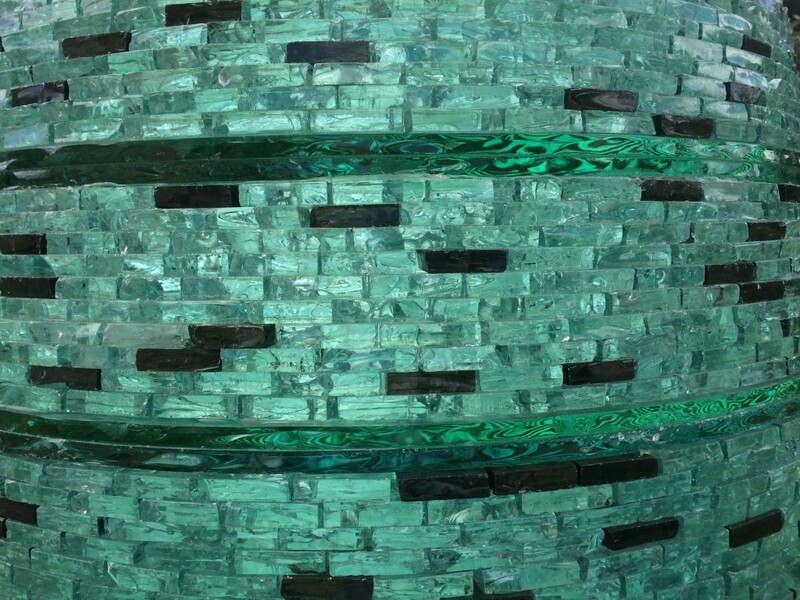 Much of Andrews work explores the reclamation and re-use of elements from his earlier sculptures. 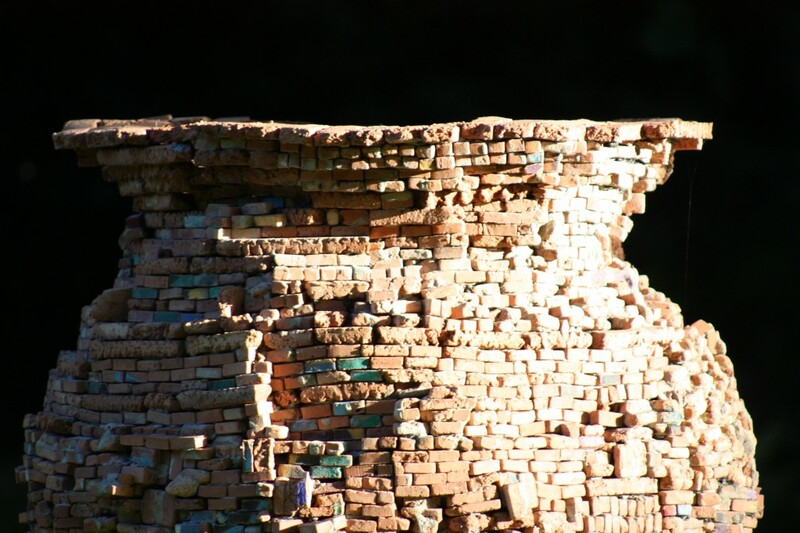 Conceived as temporary works – after a sculpture has been completed it is broken up, with the component parts salvaged to form the building blocks for the next work. 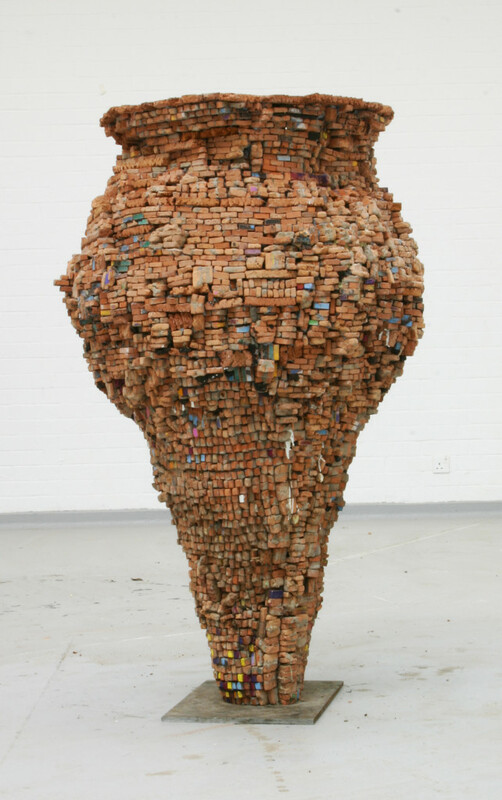 His sculptures made from miniature bricks are painted or coloured before they are dismantled. 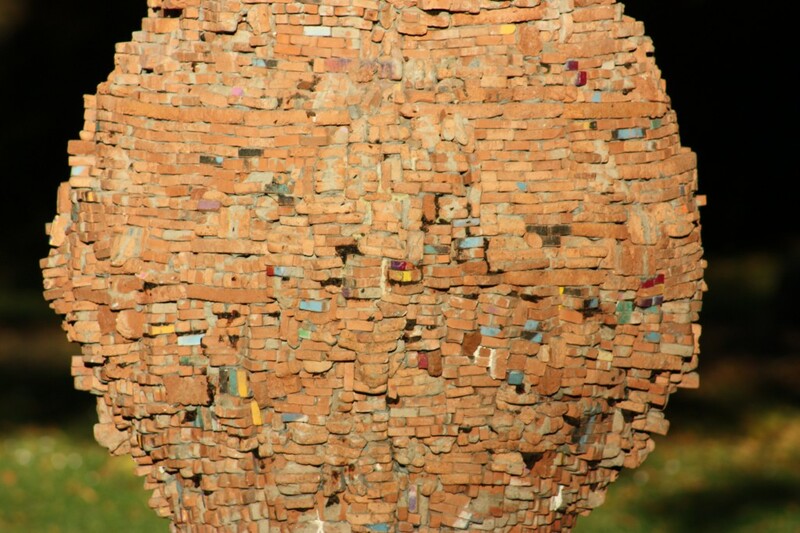 Over time, and as the bricks are formed into many different sculptures they gradually acquire a surface patina composed of residual scraps of paint, cement and glaze. 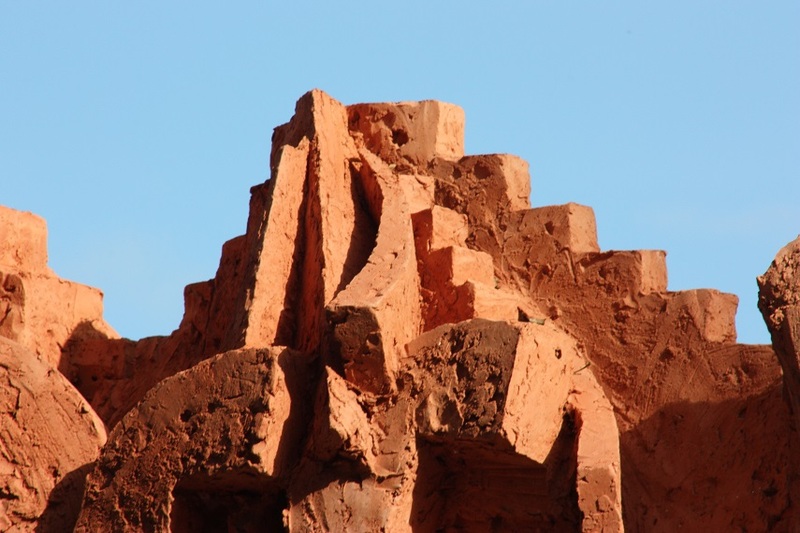 These surfaces convey a sense of the history of the making of the sculpture. 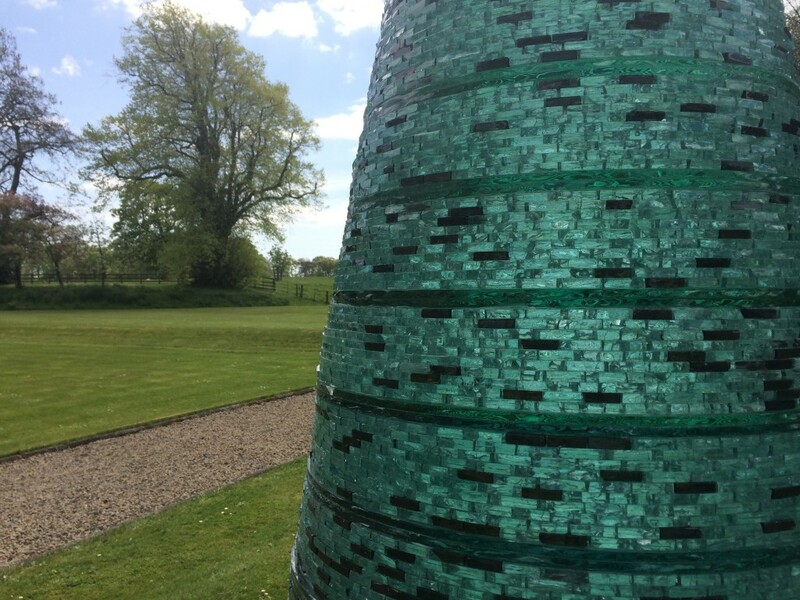 Vessel, shown at Cheeseburn is constructed from several thousand hand-made bricks previously used in other works. 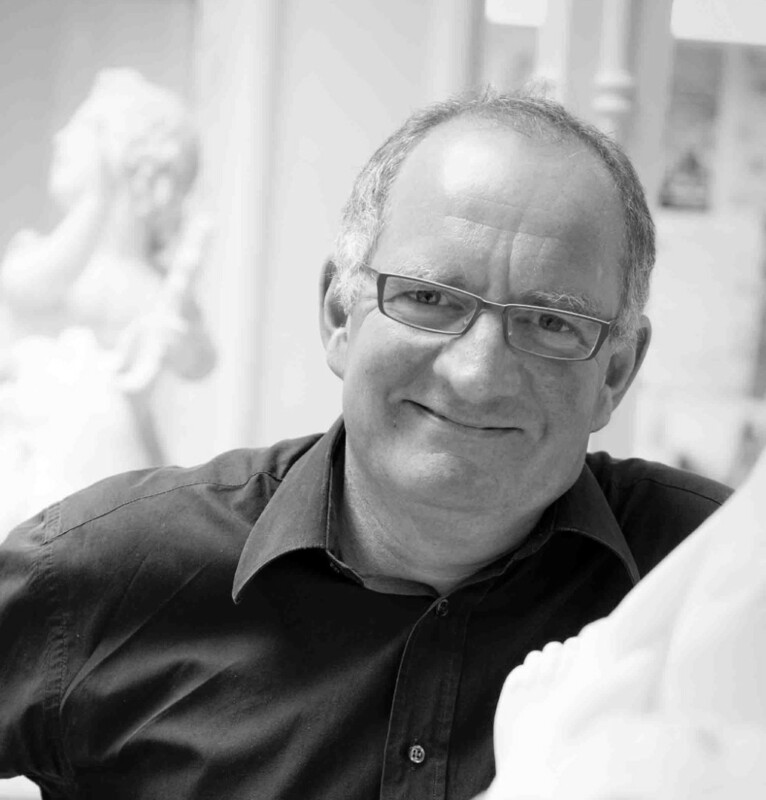 Works such as Vessel play with scale, referencing both monumental and day-to-day objects. 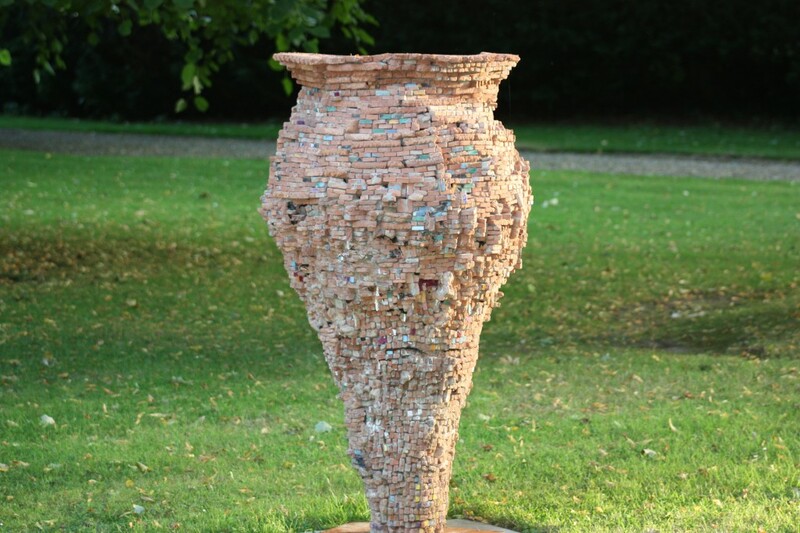 In its emphasis on the re-use and recycling of his own sculpture, the works provoke questions about the nature of monumentality and tensions between conservation and sustainability. India has been a frequent source of inspiration. 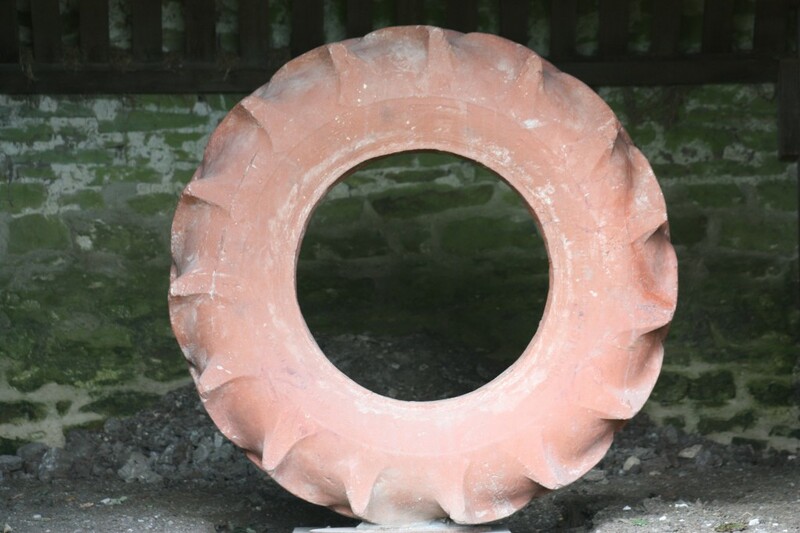 The Earth is cast from a huge tractor tyre Burton came across whilst working in the Netherlands – the title alludes both to the cycling of seasons on Earth and the way these shape agricultural production, as well as to the clay from which the sculpture is made. But the form is also intended to be redolent of the famous Chola sculpture The Lord of the Dance in which Shiva is seen dancing within a ring of fire, symbolising creation and destruction. 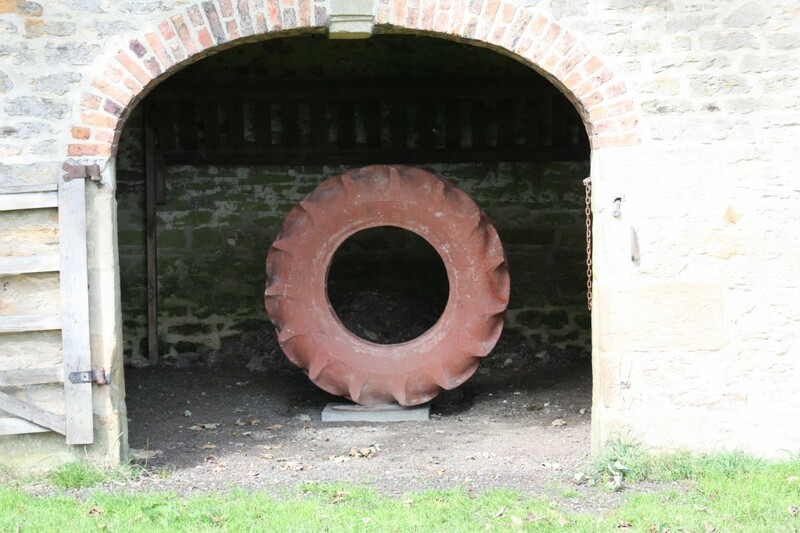 For Burton, the treads on the tractor’s tyre were suggestive of the bursts of flame on the Indian sculpture. 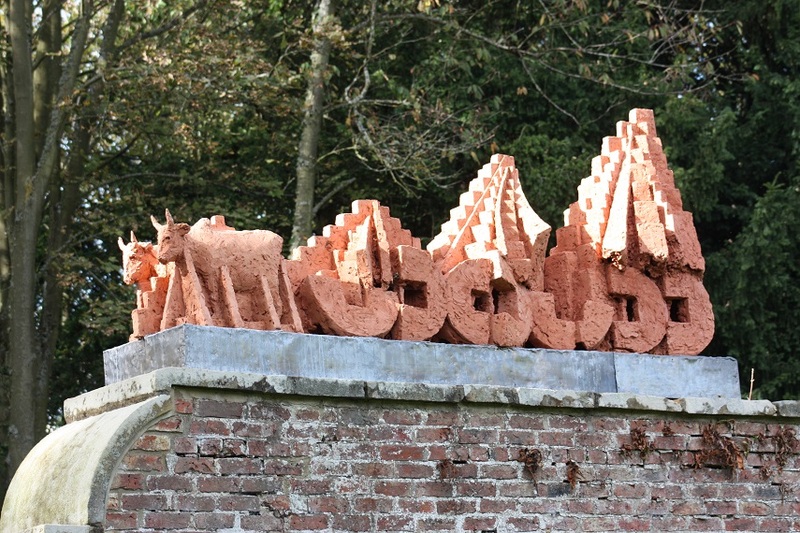 Juggernaut also plays with scale and with imagined relationships between animals and architecture: two oxen appear to be pulling an impossibly huge architectural structure. The title for the work is taken from the Indian word for the huge wooden wheeled chariots that have traditionally been pulled from village temples at festival time.